Saturday’s fight night was a success in more ways than one for The Fortitude Gym’s Brent Sugrue. 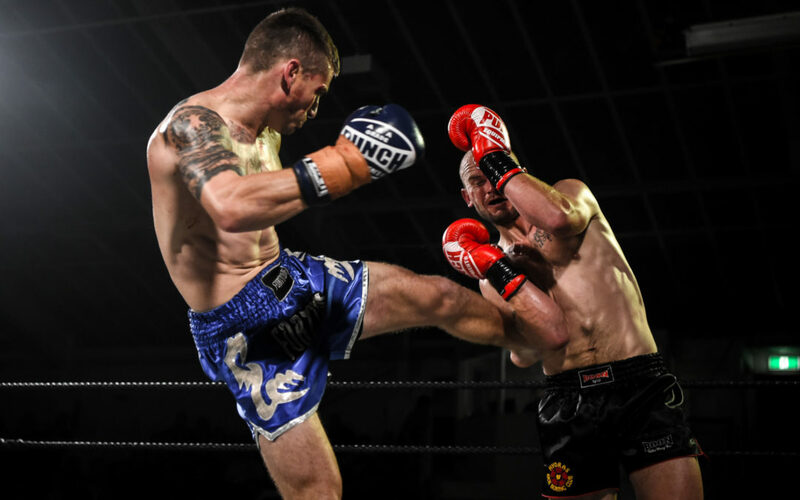 The Muay Thai fighter beat Matt Penny – who he lost to last year on a split decision – via a fourth-round TKO and in the process became the North Island middleweight champion. The bout was part of the ‘Hands of Hope’ Muay Thai and boxing event at the Trust House Recreation Centre, hosted by The Fortitude Gym. The event was run in support of the Key to Life Charitable Trust, with a percentage of the money raised from ticket sales going to the charity. The exact amount will be known in the coming days. Trainer Zane Hopman said Sugrue had produced a “masterclass” performance. “For him to come back out and do that was really, really good for him. 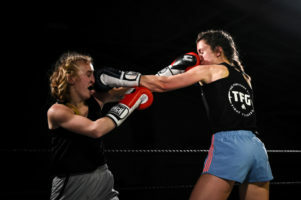 Jade Fleetwood also had a title fight at the event, but her quest for the women’s North Island light welterweight belt came to an end in the first round against Jess Wilson. “Jade started off pretty decently but ended up wearing a nasty elbow in the clinch,” Hopman said. Sinead Namana, left, and Steph Hunt in action. One of the fights of the night was the boxing bout between Sinead Namana and Steph Hunt, with both girls putting everything into it across three absorbing rounds. Namana eventually came out on top in a split decision. Hopman said the feedback he had received on that particular fight showed how popular it was, and he was hopeful the fight night could become an annual fixture on the sporting calendar. “It was a really good atmosphere and we were really impressed by the way the community stood up, and it was a great event for sport as well as the charitable aspect that we wanted to incorporate.